A block of rooms has been reserved at the Illini Union Hotel, which is inside the Illini Union. Rooms are blocked Friday, June 8, 2018 through Thursday, June 14, 2018. Complimentary parking is available for guests at the hotel. Additionally, dorm rooms are available at a reduced rate for students. See below for more information. Rate includes a $5 breakfast voucher that can be used at any of their particpating dining partners. 3. The screen below appears. 4. Fill in dates and other info. 7. Click on “Check Availability”. The room reservation deadline is May 7, 2018. 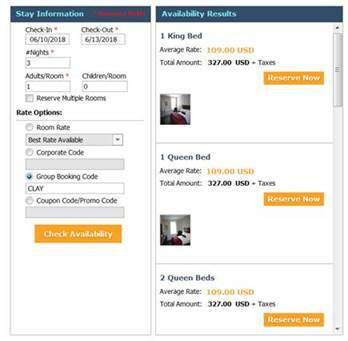 After this date, the room block will be released and rooms will only be available on a space and rate available basis. The conference will provide a shuttle service to and from the Illini Union. 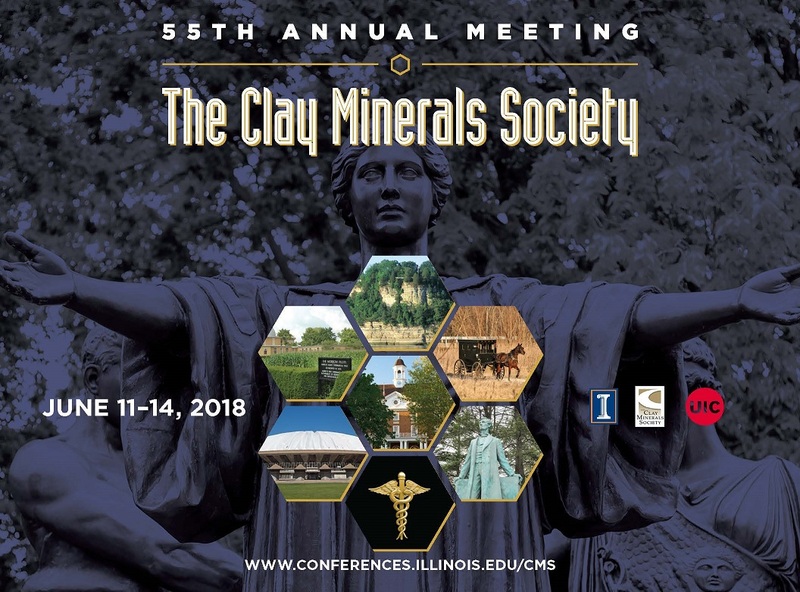 Please call 217-398-3400 to make your reservation and mention the Clay Minerals Society Meeting block or block code CG07CL. To make your reservation by phone: call 217-819-5000 and mention the code CLAY18 to receive the conference rate. 1. Click on the "Check Availability" tab. 2. Click on the orange “Attendee Code” button. 4. Continue with your reservation. 5 minute walk to and from the Illini Union. No shuttle service for this hotel. Please call or check the hotel website for current room rates.